James N. Hynson discovered tennis and paddle after being an outstanding basketball player in college, and they quickly became his favorite sports and he excelled at both. 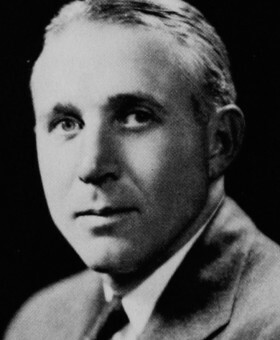 Hanson won two consecutive APTA National Championships (1937-1938) with partner Charles O'Hearn and was a finalist in 1935 and 1939. His playing career was cut short by tuberculosis which he contracted during the 1938 tuberculosis epidemic in New York and New England resulting in an early death at age 46. 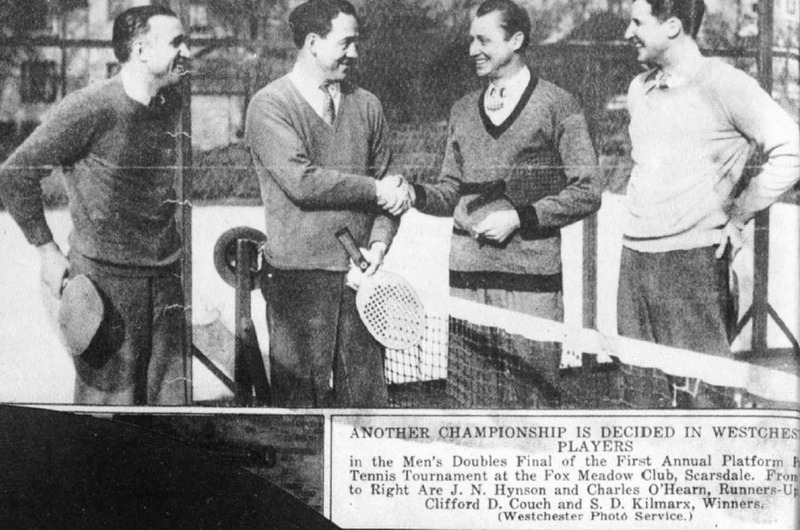 Hanson was instrumental in the construction of the first court at a club—Fox Meadow Tennis Club in 1931. Serving as FMTC President from 1933-35, he helped oversee the addition of courts, and the building of a vibrant paddle community that lead to the club becoming known as “the home of platform tennis”. (Fox Meadow Tennis Club, Manursing Island Club). Hanson was born in Lebanon, PA and attended Princeton University where he played on the varsity basketball team and was captain of an outstanding team in his senior year. He continued coaching basketball at Princeton after graduating in 1920. The Hynson family moved to Scarsdale, NY in the early 1920s and lived in a handsome white house abutting Fox Meadow Tennis Club. 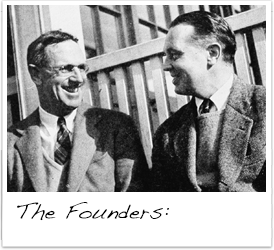 They became members and he proceeded to win six tennis singles championships during the period 1926-1936 and served as President from 1933-1935, a period when the popularity of paddle tennis was exploding. Hanson was also a member of one of the other founding clubs of the APTA, the Manursing Island Club in Rye, NY. where he was a leading promoter of the game. Hanson was vice-president of the Lebanon Paper Box Company and a director of Bankers National Life Insurance Company and the Beneficial Loan Society. He also managed his own general investment banking firm J. N. Hynson & Co. in NYC until poor health forced his early retirement in 1940. His daughter Sally learnt the game with her father at Fox Meadow on weekends when women were technically not allowed on the courts. In tribute to her father she built a paddle court at her home in Maine and named it “Kinfolk” in his memory.